Being “under the influence” conveys contradictory meanings. While designating impairment, it also connotes the unleashing of creative inspiration. Such a contrast is typical of the discourse on drugs, which in different contexts can bring about liberatory, therapeutic, spiritual or deleterious effects. 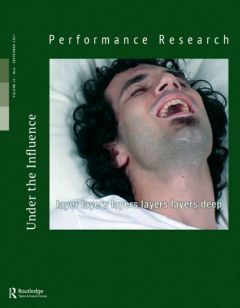 This special issue explores how performance mobilizes intoxication and altered states. How do narcotics, psychedelics, and other stimulants destabilize the norms of theatricality? 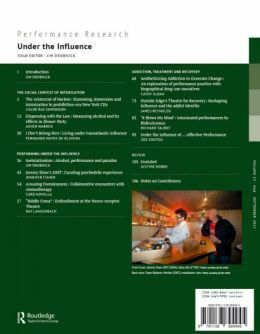 What impact does inebriation or addiction have on notions of artistic agency and ethics? Featuring perspectives from historians, critics and practitioners, this issue stakes out the multifaceted ways that artists have responded to drugs and addressed their socio-political implications.